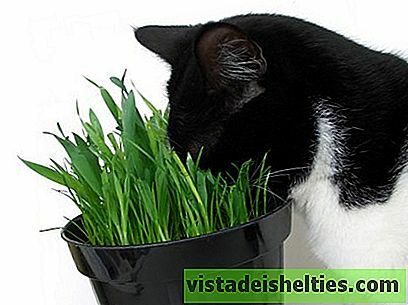 Those who live with cats, we know their fondness to nibble and play with plants. It is rare to find a house that has plants and a pussycat and these are spotless. But nevertheless, Not all plants are safe for felines to try to eat them, or put them in their mouths, or bite them. Therefore, we have compiled this list of dangerous plants for cats. If you have one at home, as a precaution, it is best to leave it out of reach. Most of the toxic plants have pain, vomiting or diarrhea as first symptoms. 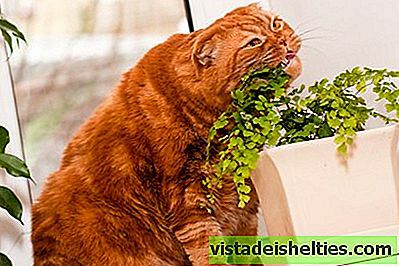 At the slightest suspicion that the cat has been intoxicated with something (whether these plants or something else), you should go to the veterinarian as soon as possible and bring a reference of what could be eaten. If the professional knows exactly what poison or substance is harming the animal, he or she can apply the correct treatment much earlier. And in case of an emergency like that, every minute counts. There are two plants that define Christmas: the firs or pines and the Poinsettia. For some years, in social networks, when November or December are approaching, messages begin to appear reminding that the Easter Flower, so beautiful and traditional, is toxic to cats. The simple contact with her can cause irritations in the skin and eyes. Also, if you eat it, it will cause vomiting, diarrhea and other related problems. Also Christmas, Holly is dangerous for cats. But only in case he ate the leaves or the fruits. The cove, a tall white flowering plant with a very characteristic yellow pistil, is also dangerous, not only after eating it, but it can also irritate the cat's skin and mucous membranes. The bulbs of plants such as tulip, hyacinth, etc., are slightly toxic for animals and people. Normally, dogs or cats that are intoxicated by nibbling bulbs, have unearthed them before playing or exploring. Other dangerous plants for cats with flowers are the azalea, the hydrangea and the begoña. In the case of the azalea, the whole plant is toxic, but especially the leaves. Eating part of a leaf can cause vomiting, diarrhea and, in addition, seizures and neuronal problems. Poisoning by begonias or hydrangeas are rare and are not usually serious. But you have to be especially careful with the leaves and stems. There are other common plants in many gardens and terraces, such as aloe vera. This has a medicinal use so well known and widespread, but can cause irritation in the mucous membranes. All parts of Adam's rib are irritating and can cause tongue paralysis. There are other types of plants, although they are not domestic or habitual at home, which are dangerous for cats. The foxglove (digitalis purpurea) is especially dangerous. The whole plant is toxic, and its substances affect the heart, causing arrhythmias or beats too slow. Ivy is a common vine plant in public gardens and in nature, which can be found by climbing trees or walls. Ivy is poisonous for all animals, and contact with the hairs surrounding the stems causes irritation and swelling. In case of ingestion, it causes vomiting and difficulty in swallowing. The blackberry affects the nervous system. All of it, ingested, causes neurological problems such as ataxia or drowsiness. The eucalyptus is a tree that has spread enormously in the north of Spain in recent decades. Its fragrance is used in detergents or air fresheners. Ingesting a leaf of eucalyptus causes cats to vomit, gastrointestinal problems, weakness and excessive salivation. Catnip is known to all cat lovers. This plant acts like a drug and "places" felines who sniff or rub against it. After a couple of hours, the "high" is passed and they resume their normal life. No serious poisonings have been detected by catnip, but it does not stop being a toxic herb for cats. A similar effect has other herbs of his family, such as mint, mint or valerian. There are many other toxic plants for cats, because this is just a summary list of the most common. If there is any suspicion that your pet has been able to eat or rub against something that could harm him, a veterinarian should visit him as soon as possible. Although always, Prevention is better than cure. If you are careful that your cat does not have access to dangerous things for him, you will save many scares both.